Positioned at 12 Palace Street, London, SW1E 5JA, The Other Palace is at a nearby distance from the Buckingham Palace. The popular Other Palace has a peaceful surrounding and quite away from the busy London's theatres. It is positioned near the magnificent St James Park which is an ideal area for pre-theatre stroll. For shopoholics, Victoria Station is located at a five minutes walking distance from the theatre. You can enjoy wide range of shopping and lip smacking food at restaurants near you. There are huge number of bars, shops and restaurants that cater to all tastes. Apollo Victoria and Victoria Palace are located at a nearby distance. For those who are planning to visit the theatre can go for tube as the closest tube station to the theatre is Victoria which is a short 5 minute walk away and situated on the Victoria, District and Circle lines. You can also board train as London Victoria station is in the same area as the tube is a short 5 minute walk from the theatre and is a hub for National Rail services. You can also board bus route numbers 16, 38, 52, 73, 82, 42, 148. You can also drive your own car, as the nearest off street parking to the theatre can be found at London Victoria NCP Semley Place London SW1W 9QL. There is also street parking in the surrounding area after 6.30pm on weekdays and on the weekends. The Other Palace has two spaces for performance and categorised as a main theatre and a smaller studio space. The smaller studio space has occupancy of 100-120 people spread on two levels. The Studio area is specifically used for comedy, jazz and cabaret. The main theatre has occupancy of 312 people where the building of theatre is a relatively new as the main auditorium allow the viewers to enjoy the best possible view of the stage from all angles as there are no pillars or overhangs to contend with. In accordance with the show the ticket prices for The Other Palace changes. If you are looking for premium seats then go for the centre of rows E and F whereas affordable seats are positioned in row A at the very front and row N at the very back of the auditorium. This November get ready for one of the rarely performed works at The Other Palace! 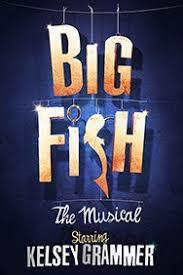 The award winning London show, Big Fish features Golden Globe and Emmy Award-winning actor Kelsey Grammer. The London premiere of John August and Andrew Lippa's celebratory musical Big Fish will run for a strictly limited season at the Andrew Lloyd Webber's The Other Palace. Big Fish The Musical is adapted from the Daniel Wallace's novel of the same name. Tim Burton's movie version of Big Fish the Musical was released way back in 2003. It is the story of a man, Edward Bloom who is nearing the end of his life, but has some tales which he wants to share with his son. The father and son duo embarks upon a life-affirming journey as the son is not ready to believe his father and asks. The journey changes both the men forever. The lead protagonist Kelsey Grammer is portraying the role of Edward Bloom. He is an immensely talented actor known for his three-time Golden Globe and five-time Emmy Award-winning role as Dr. Frasier Crane in NBC sitcoms Cheers and Frasier. His Broadway credits include Gary Barlow's Finding Neverland, as well as a Tony-nominated stint in La Cage Aux Folles. Some other talented actors of Big Fish The Musical are Matt Seadon-Young as Will Bloom, Frances Mcnamee as Josephine Bloom, Forbes Masson as Amos/Don, Jamie Muscato as Edward, Laura Baldwin as Sandra, Landi Oshinowo as the Witch/Jenny Hill, Dean Nolan as Karl and George Ure as Zaki, alongside Sophie Linder-Lee, Gemma McMeel and Jonathan Stewart. Andrew Lippa, Tony Award-nominated composer renowned for great works like Addams Family, The Wild Party, along with writer John August renowned for Charlie and the Chocolate Factory is a must watch theatrical experience. Under the superb direction of Nigel Harman, Big Fish the Musical features design by Tom Rogers, choreography by Liam Steel, lighting design by Bruno Poet and video design by Duncan McClean, with sound design by Luke Swaffield and Avgustos Psillas for Autograph. 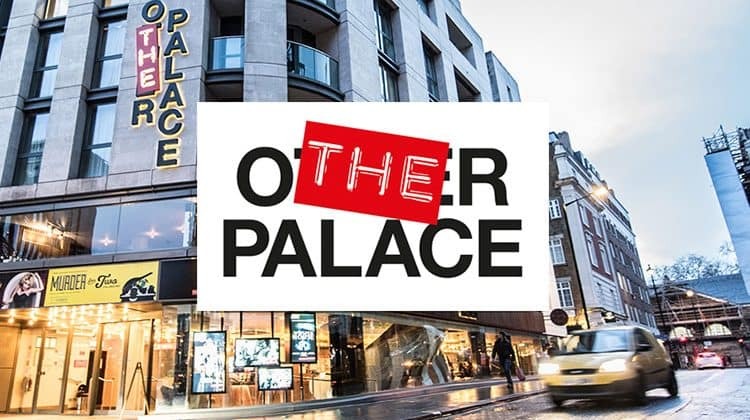 The show will run for a limited season at The Other Palace, from November 1st to December 31st 2017.